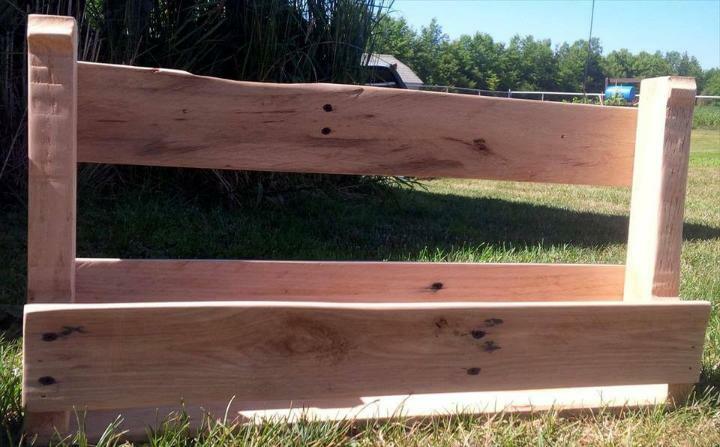 This time we have decided to tell you about how you can go creative with super feasible shapes of pallet boards! 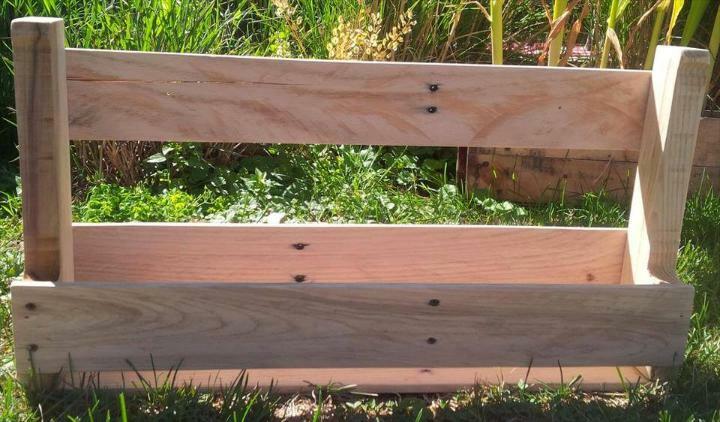 If you go with an intelligent perspective of thinking, you can find some ideal furniture projects built already in pallet boards just like these DIY mini pallet shoe racks which are actually the cut down parts of a pallet board, got for multiple purposes in home! On the other hand, you can also plan the single pallet slats to clone these mini shoes rack which can also be made to serve as hanging wall shelves! People, who go for a regular jogging, can organize their jogging shoes over it easily! Decide these mini wooden caddies also for a plenty of other uses, hang them on a kitchen wall as spice racks, mount them on a bathroom wall as toiletries shelves and they can even be fixed on your indoor or outdoor bar wall as a beverage bottle rack! Ideas to use it are really never ending! 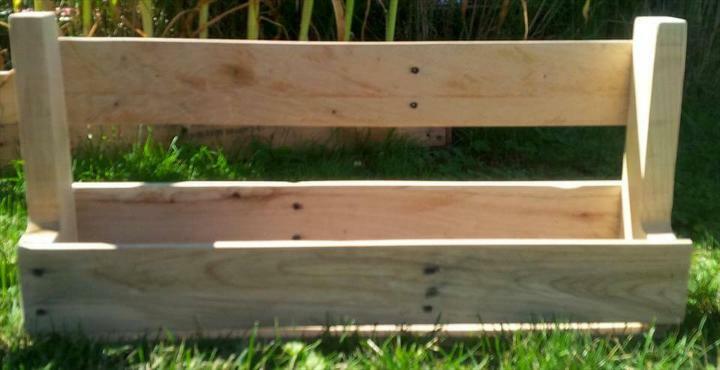 Build a little caddy style structure out of pallets, you can also find it already made in some mini pallet boards, so get them separated with a fine cut up to the marked area on that pallet board! It is all good to use as a wall shelf, but here it has been planned for shoes storage so would serve as a wall hanging shoes rack, a totally unique idea! Makes its surfaces bright by rubbing and gritting them with sandpaper and just help yourself in easy installation of it to a custom wall area, using latest hardware! Write some letters or words over it using paint for a custom look of it and you can also use vinyl letters to do this! It can be painted also for a custom colorful or single color modern appearance! 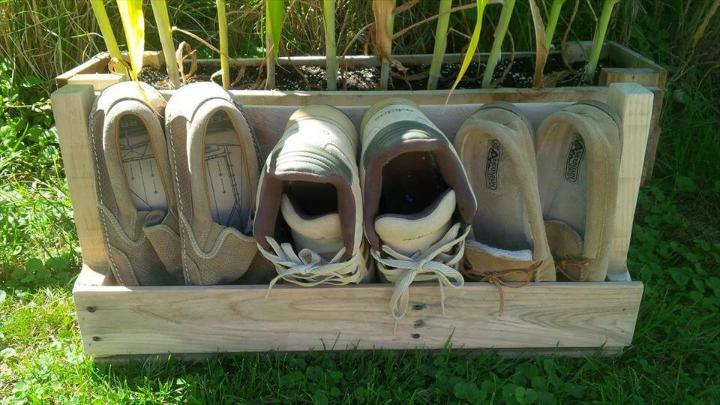 You can create a set of these shoes rack out of pallets to enlarge the shoe storage space, also use them as spice jar shelves, beverage bottle shelves, toiletries shelves and as garden pot holders!